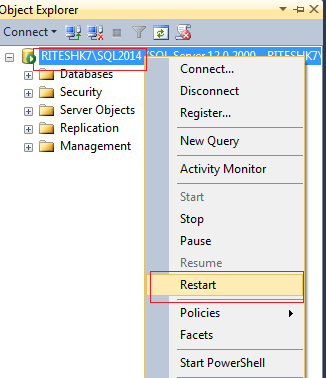 In this post we are going to discuss how to track or get the list of all sql queries which executes on sql server but has some error may be syntax error or execution error. To track the sql error we are going to create an event session. Note: You can modify your file conditions according to your requirement. [sqlserver]. [database_name]: To tack only specified database. 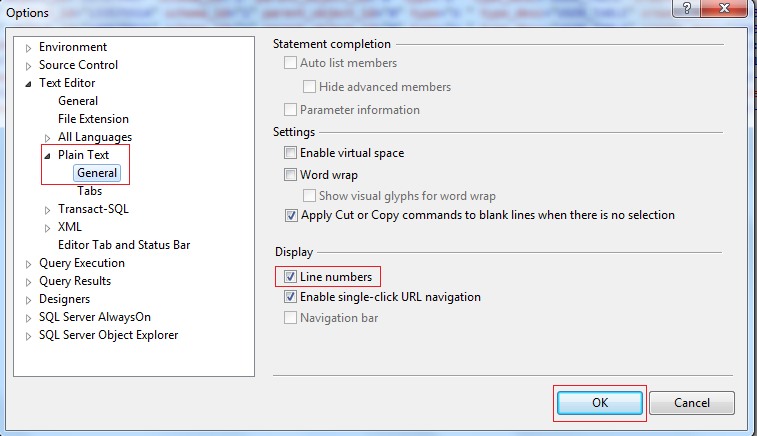 To allow in multiple database use IN clause or remove filter condition. [sqlserver]. [is_system] = 0 : To not track the sql errors due to system events. Note: Data of event session will be updated after some regular intervals, so to get new data, execute the above script again and again. a. 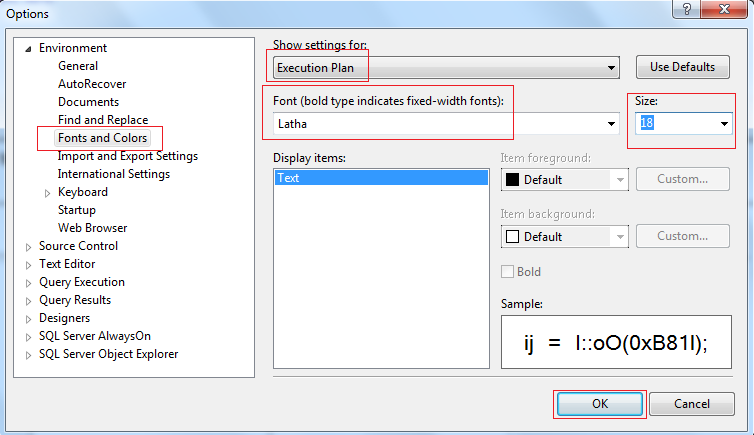 In Show Settings for drop down choose Execution Plan. c. In the size drop down choose any size which you want to set. d. After setting click on OK button. 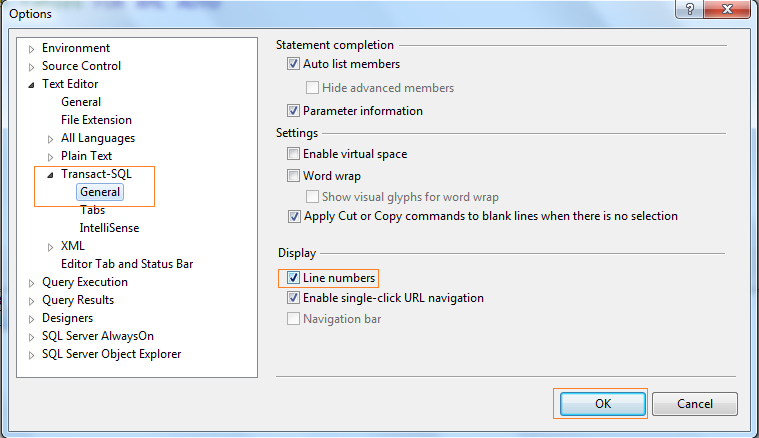 Steps 2: After few seconds a confirmation dialog box will appear up. Click on Yes button. It may take around one minute. After some completion of process bar server will be start once again. Note: Don't click on Close button. a. 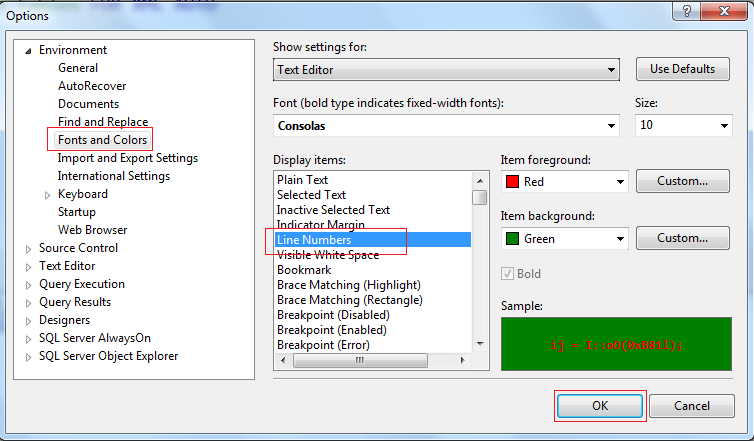 In Show Settings for drop down choose Text editor. 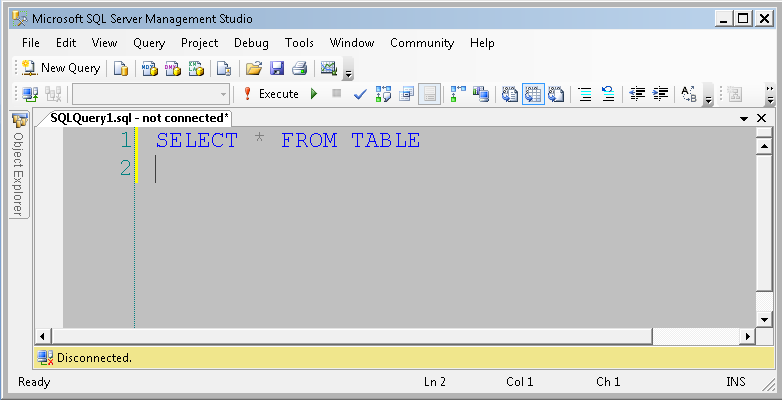 Sql server management studio supports many types of editors like transact sql query editor, XML Editor, Text Editor Etc. Sometimes we need to display line number in different editors. 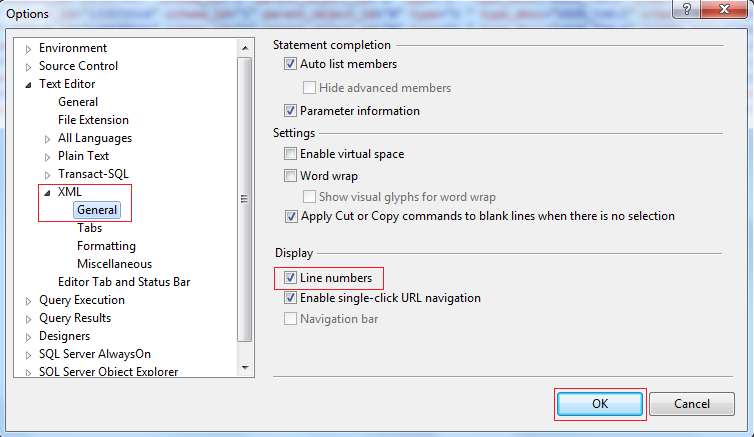 Here we will set to show line numbers in different editor in sql server management studio 2014, 2012, 2008 and 2005. 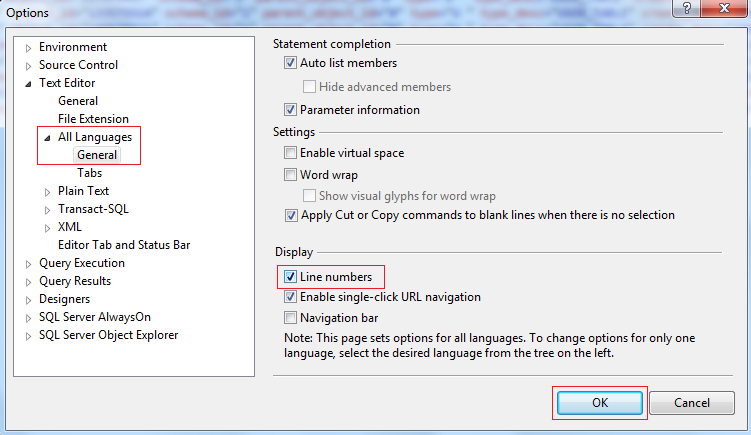 Checked Line Numbers check box and click on OK button. 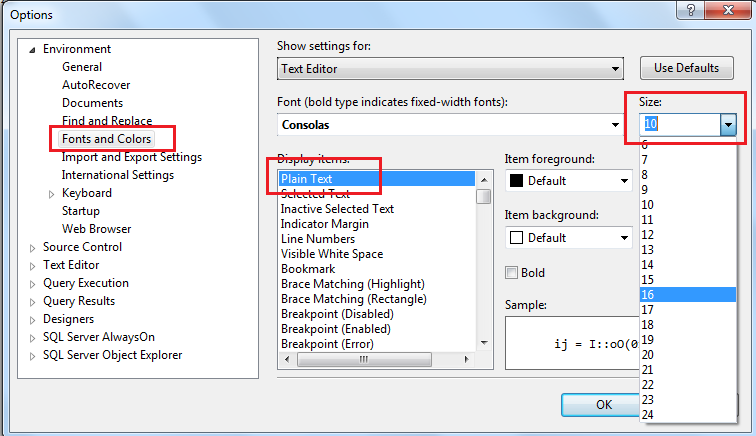 c. In the font drop down choose any font style which you want to set. d. Checked the check box bold to set the bold character. e. After setting click on OK button. 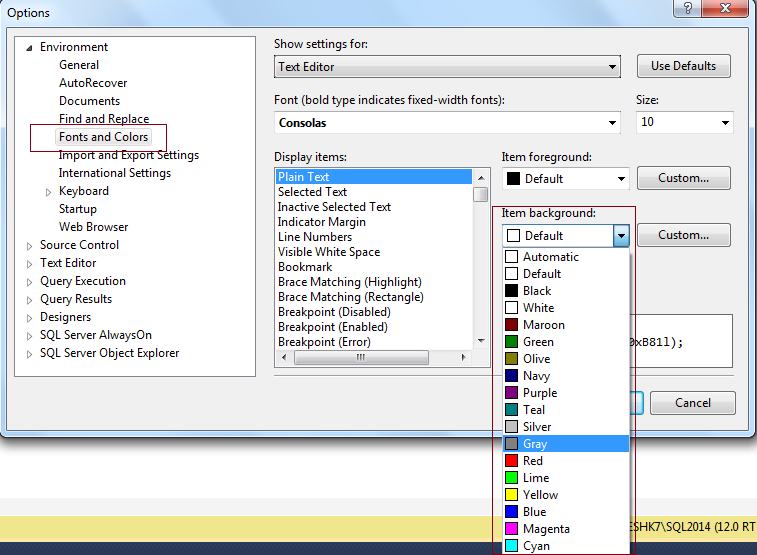 c. In the item background drop down choose any color which you want to set. 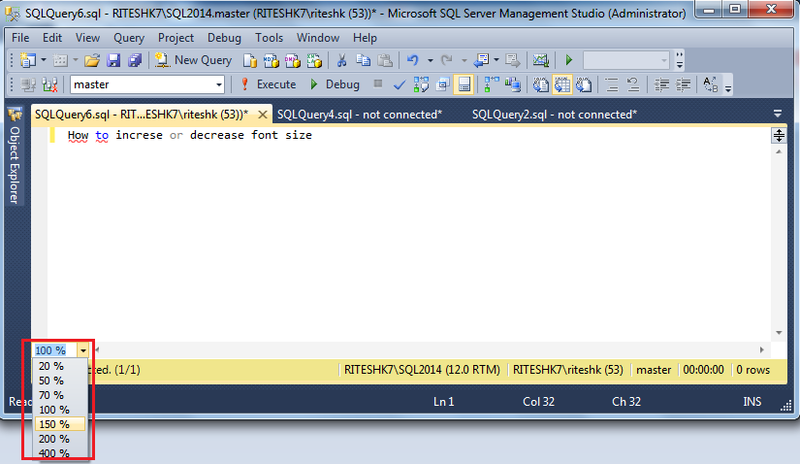 After this background color of sql queries text editor will change permanently. 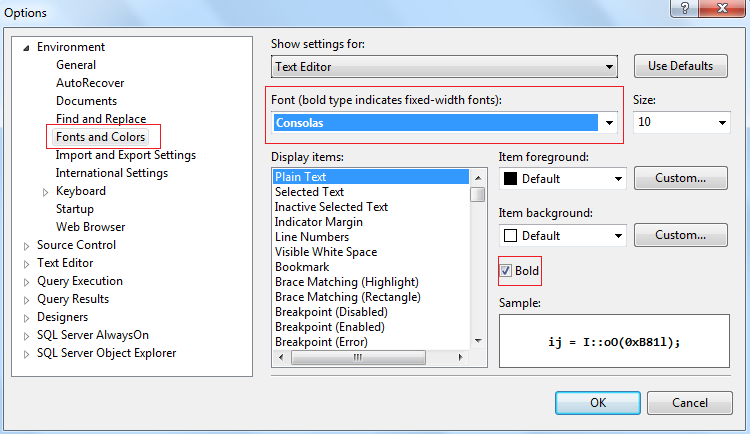 After this your font or text size will increase or decrease permanently. Sql server management studio (ssms) is an UI tool from which we can connect to sql server and perform various options. It is very powerful IDE for sql server.